There's a certain thrill to seeing your young man dressed up in a suit for the first time. His first shopping experience will be a memorable time. That's why his first suit shopping trip should be at Charney's Mens Clothing store. At Charney's, our clothing professionals will take the time to make sure he not only has a suit that fits him right, but he'll have a good time in the process! 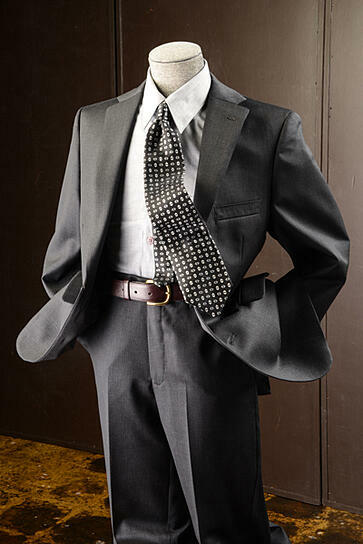 We carry boy's suits from size 8 to 22 in Regular and Husky sizes. Charney's has been honored to share this experience with Central New York families for the past 63 years. We're still locally owned and operated by the Charney family. We are happy to answer any questions you may have about our boy's clothing department. You can reach us during store hours at 315-463-6011. Thank you for considering Charney's for his first suit!